The WORCESTER PARK Blog :: Are you sitting comfortably? A new seat has recently appeared at the top of Browning Avenue and Lindsay Road. Like several other things reported recently on the Blog, this is the results of money won by local residents in the Council’s Participatory Budget event from May last year when local residents voted for which local projects would receive the necessary funding. 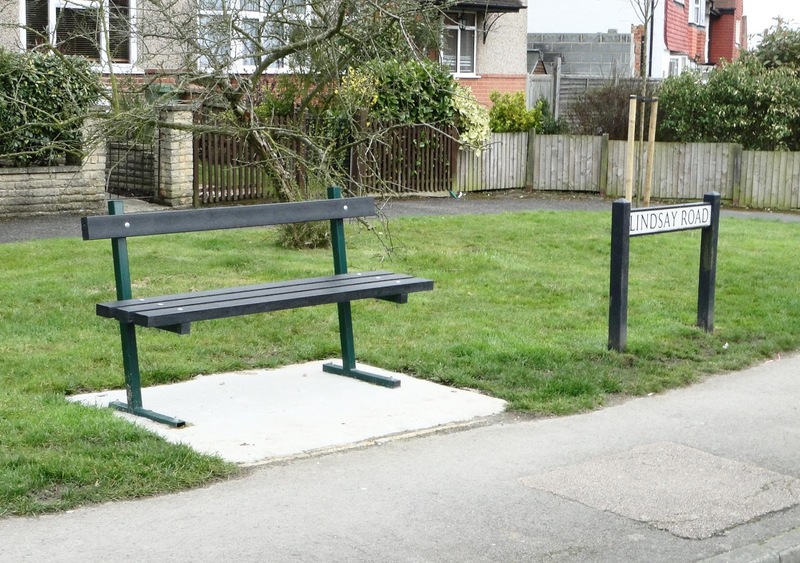 John Evers from the Worcester Park Residents Association presented the case for the replacement bench at the top of Browning Avenue so that elderly people would have somewhere to have a rest if walking from roads near Clarkes Avenue to the high street. Residents of Worcester Park, North Cheam and Stonecot voted through the £800 required and the replacement seat was secured.